It all started when I decided to try switching from Bauer Vapor Skates to the One 90’s. Excited by the change I persevered through the pain of breaking in a new pair of skates. Little did I know the pain had nothing to do with breaking them in; they never fit properly form the beginning. The friction that resulted from the play in my boot had caused me to develop huge bone spurs on the inside of my ankle, and the outer boarder of my pinky toe. I sent a pic of my newly disfigured feet to Bauer and they were nice enough to replace them with the latest Vapor model. Having been a Bauer kid all my life, and having previous experience with the Bauer boot, all was well. The only issue was that the bone spurs would never go away. I would require surgery on both inner ankles which would result in a 6-8 week recovery time. Being on the ice doing lessons and running practices 6 days a week doesn’t really allow for any such time off so I would have to suffer through it. I found that I never had pain in the Bauer boot for the first few hours, but if I was running a camp with higher in skate demands, I would be in excruciating pain by hour 4. I know what you are thinking “skates weren’t made to be work for 4 hours straight”, but I care to differ. Before the advent of the bone spurs I could bang out 8 hours straight in my end of August boot camp week without a single hitch. I tried many different solutions from doughnuts to patches and after meeting Adam Landen from PTX Performance I was introduced to Stable 26 Socks and for the first time in a long time, I was able to spend long hours on my skates with no pain. They did such a great job anchoring my heel into the back of my boot that there was little to no play, which meant no rubbing or irritation. Only problem was… the bone spurs were still there and the Bauer Vapor boot was not making any accommodation for them any time soon. 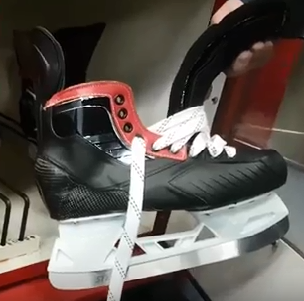 I was introduced to skate boot guru Jeff Potter from Pro Skate Corner in Toronto and he suggested I try the VH Hockey Skate. The price was right and after researching the success of other pro athletes with the comfort of the boot, I decided to dive in. The process of fitting for them was easy and actually kind of fascinating to be part of. Seeing my actual ankle rendered on the iPad and having Jeff circle all the problem areas, reassured me that it was sure to be the ultimate solution to end my pain and allow me to get back to enjoying skating. I have to say that I am 3 weeks into wearing my VH Hockey Skates and I cannot get over the comfort. I almost have to look down to make sure the skates are still on as they are so lightweight and comfortable that they are hardly noticeable. The Step Steel holder is unreal as well. You can really notice the upgraded quality of steel under your feet compared to the Bauer skate. 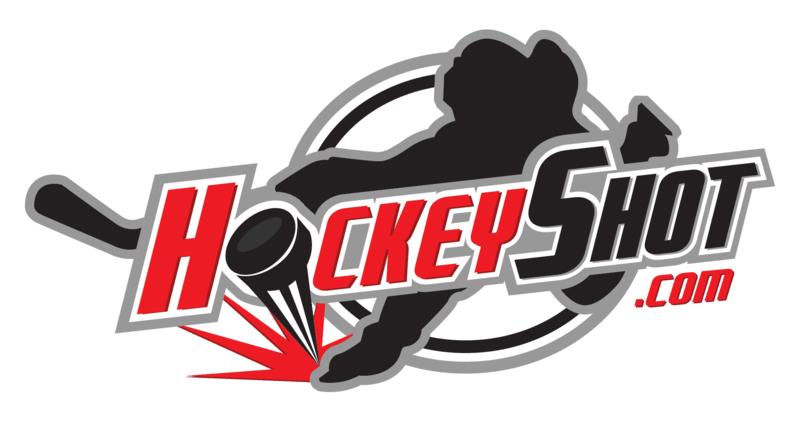 The holder is also much more lightweight and the sound of cutting into the ice is amplified for increased authority and on-ice presence. I highly recommend these wheels for anyone looking for ultimate comfort and performance. Always strive to get any edge you can over the competition. VH Skates and Step Steel got your back on this one.